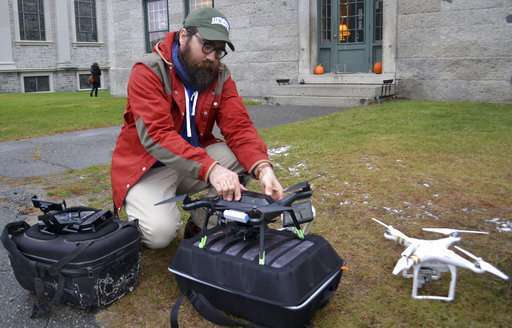 But instead of a trowel and shovel, Casana and his Dartmouth College colleague Chad Hill are using a drone equipped with a thermal imaging camera and mapping instruments. The camera can identify remnants of buildings and other structures up to several feet below the surface, since the temperatures of that brick or stone material is often warmer than the soil around it. 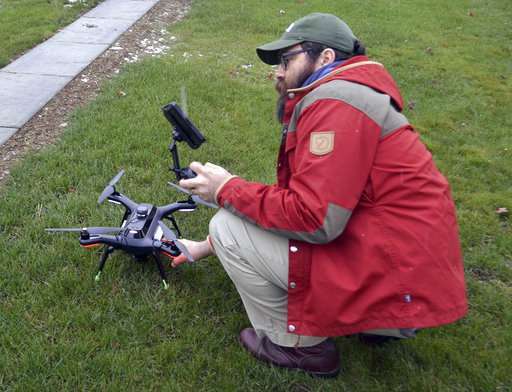 And by using the drone, the researchers can survey an area in minutes that might take months with traditional methods. "If you look, you see a flat field but below it there are big stone walls. There are cellars. There is a big old well, all kinds of stuff you can't see on the ground," Casana said of a community that once housed nearly 100 buildings but was sold in the 1920s and is now an outdoor history museum. "Those things have different thermal properties. If you capture an image at the right moment, you can see it—which is amazing." Archaeologists have for decades have used aerial photography and more recently satellite imagery and data from laser sensors known as Lidar to map and discover new sites. The field is further transforming with the emergence of cheap drones, resulting in several significant discoveries in Asia, South America and the Middle East, including a massive manmade stone platform spotted last year hidden under sand in the ancient city of Petra in Jordan. In 2014, they used the drone and camera at an ancestral Pueblo settlement in Blue J, New Mexico. The researchers were able to find a dozen ancient house compounds and a circular structure that could be a kiva that was used for public events and ceremonies. They have found structures around an Islamic fort in Qatar and used the drone and camera in October to identify a circular structure at a prehistoric site connected to Native Americans near Joliet, Illinois. So far, Casana said, the camera technology has proved a success at arid locations without a lot of vegetation and where the structures are near the surface. It has been more challenging or nearly useless at locations with forest cover or, in the case of Cyprus, where there wasn't a big difference in temperature between the structures and the surrounding soil. 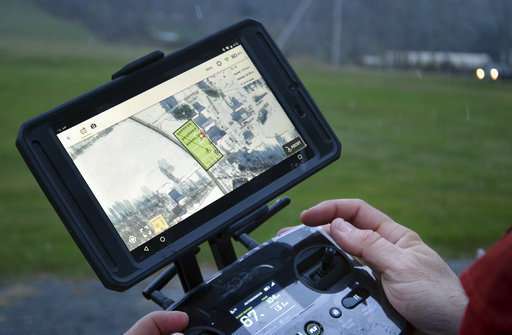 "It will enable you to prospect for features and see things you can't see with your eyes and that you often can't see with any other method over gigantic areas very quickly," he said, adding he plans to deploy the technology at sites in Iraq, Mexico and Hawaii. "I would say it could be potentially game-changing if people would adopt it." The site is now home to the Midewin National Tallgrass Prairie, the only federal prairie reserve east of the Mississippi. Researchers are hoping to better understand things like trade networks, agriculture practices and their involvement in warfare. "Every time we get a new imaging technique that does not include excavation—which is expensive and destructive— it's always a plus. It allows us to see new things," Schurr said. But Plymouth State University's David Starbuck, who is leading the dig at the Enfield Shaker Village, was more cautious. He argued the technology could be good for historical sites but questioned whether it could be much benefit for prehistoric sites that go much further back and lack markers like foundations. 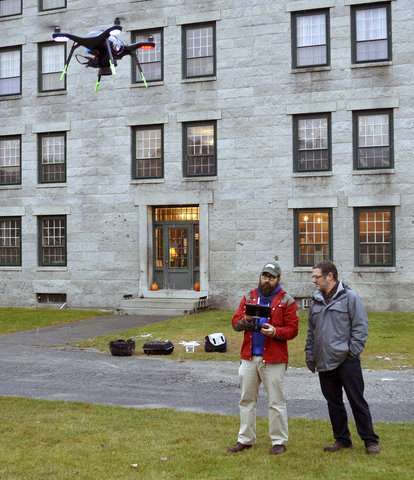 "With Jesse's work in a place like Enfield Shaker Village where on one side of the highway there, they have lots and lots of buildings that were removed, drones and cameras should be able to pick out just where those foundations used to be," he said. "If his techniques can take us directly to where the buried foundations are, your crew is a going to be a whole lot happier." Regarding Cameras, why bother about gone civilizations ? Smartphones should be full of Cameras Recording our Lip Movements & Eye Gestures and Doing Research on them....Once, more of Brain Research is done, Smartphone should Connect to our thoughts DIRECTLY !